We can provide you with premier server colocation services or dedicated servers. Our 15,000 Sq. Ft Baltimore colocation center offers the best local value possible. It is convenient to all major access roads and minutes from both I-83 and I-95. Please find our full data center details below. 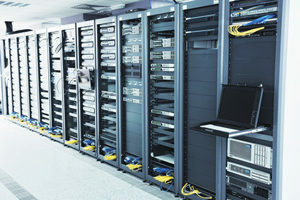 For server colocation pricing specials, please click here. Only fully redundant, enterprise-class routing equipment is used in our data center. Direct links to Ashburn & New York connectivity. 100MB, 1GB, 10GB cabinet hand off to customer cabinets. Cross Connects – Single-Mode fiber, Multi-Mode fiber, CAT5, CAT6, CAT5 (T1) & CAT3 (POTS). Metro Connect – Extends choice and reach for carrier & network availability across metro area. 24 x 7 x 365 remote hands. 24 x 7 x 365 access. 21075, 21201, 21202, 21203, 21204, 21205, 21206, 21207, 21208, 21209, 21210, 21211, 21212, 21213, 21214, 21215, 21216, 21217, 21218, 21219, 21220, 21221, 21222, 21223, 21224, 21225, 21226, 21227, 21228, 21229, 21230, 21231, 21233, 21234, 21235, 21236, 21237, 21239, 21240, 21241, 21244, 21250, 21251, 21252, 21263, 21264, 21265, 21268, 21270, 21273, 21274, 21275, 21278, 21279, 21280, 21281, 21282, 21283, 21284, 21285, 21286, 21287, 21288, 21289, 21290, 21297, 21298. Easy access from 95 North. Custom-configured to meet your specifications, this cordoned-off area is accessible by you and you only. Hyper Media provides a customized layout analysis to help you determine the most efficient, optimized arrangement of the racks for your space. 99.99+ % Temperature & Humidity availability. 99.00+ % Cross Connect availability. Keycard protocols, round-the-clock interior and exterior surveillance monitoring. Data center’s HVAC (Heating Ventilation Air Conditioning) system is N+2 redundant. This ensures that a duplicate system immediately comes online should there be an HVAC system failure. Electrical Capacity – 2.4 kVA per cabinet. Should a total utility power outage ever occur, our data center power systems are designed to run uninterrupted, with every server receiving conditioned UPS. UPS Configuration – N+2 Distributed Redundant Systems. Utility Voltage – 480 volts, 3 phase. Standby Power – 2 x 750 KW diesel engine-generator power. Standby Power Config – N+1. Interested in more information. Please contact us for more information.